If you are familiar with Chinese cuisine then you must have heard of Szechuan peppercorn. While most people have heard of it from the Szechuan cuisine, the belief that it’s a hot spice is not always true. When you use it alone it’s less spicy than even black pepper. I know what you would ask, but why is it so hot and spicy when in the famous Szechuan cuisine? This is usually because it is accompanied by various other ingredients like chili that make it hot and spicy. You should know that this is a flavor enhancer like most other spices. The Sichuan peppercorn is an aromatic- lemony, flavor enhancer and mouth-numbing spice. If you know the lavender aroma you will liken it to this spice. Note that, the pepper is quite unique because it has a strong aroma and is full of flavor. However, the peppercorn is never hot on its own. It’s mouth-numbing sensation which is best known in China as ‘Ma’ is what has made it popular. 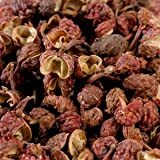 The Sichuan peppercorn is not pepper as most would think since its name suggests the presence of pepper rather it is dried red-brown berries. You may call it Sichuan peppercorn or Szechuan peppercorn and can also be spelt as Szechwan. Note that, this peppercorn is not at all related to the black peppercorn from India as many people think. It existed long before the black pepper was introduced in the market. As the name suggests, Sichuan peppercorn is from Sichuan province which is found in Southwest China. Nevertheless, the peppercorn can be grown in other parts of China. It is also used in almost every part of the country. Although it grows in all other parts of China, the ones from Sichuan have a stronger aromatic, flavor and numbing sensation than the others. This means that the environmental factors affect the plant massively. The peppercorn consists of the pinkish-red dried outer husks of the ash shrub. The husks that are around the seeds are the ones used as peppercorn. Whole form: here you could use them when stir-frying, braising, salad dressing, dumpling seasoning, marinating and more. I specifically encourage people to use it when braising dishes like pork, duck or lamb. Note that, apart from adding umami flavors to the dish it also removes the game flavors that the meat sometimes have. Powdered form: it’s part of the 5 spice Chinese powder. You can buy the Sichuan peppercorn powder in the shops although the best form is when you freshly grind the peppercorn. You do it by cooking the peppercorn in oil until they turn brown then drain off the oil and grind the Sichuan peppercorn. This process eliminates the raw numbing sensation while adding the rounded aroma. This powdered Sichuan peppercorn will require that you use more since it’s now less powerful. It’s best preferred for fried and cold dishes. Since this is a flavor enhancer, expect your sweet dishes to be sweeter and salty dishes to be saltier. Nevertheless, when you have a visitor and are not sure whether they will love your whole peppercorn, you can always remove them after the food is cooked. This is to ensure they don’t crush them as they eat. However, one fact is that even those who have never used it before may love it at first and even become addicted. Want to try some recipes that use Szechuan Peppercorn? 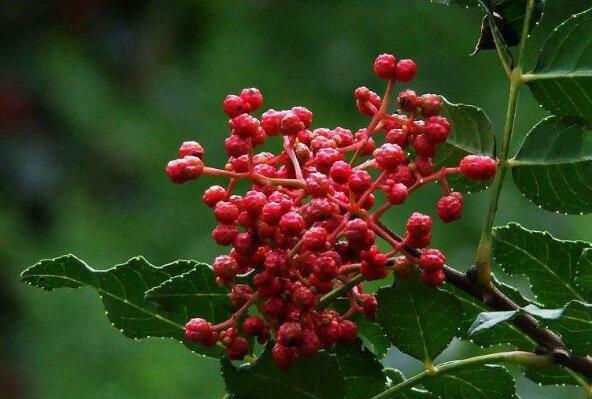 It is a medicinal plant that is used when making the traditional medicines in China and India. The berries and the bark are both used as herbs that purify the blood, help with the digestion and act as an antirheumatic. The peppercorn is an ingredient in the Ayurvedic medicine which aids in the treatment of diarrhea, asthma, bronchitis, rheumatism and disease of the mouth. The ground bark also helps in the healing of toothache. The list is endless when it comes to culinary uses. Since the spice is rich in flavor and aroma yet not hot it’s used in most meat, fish and chicken dishes. Here, it enhances the flavor while sometimes removing undesirable flavor, scent or taste. It is also commonly used in Sichuan baked goods to enhance the flavor. It acts as your condiment that you could add to your dishes before you begin eating. Example Szechuan peppercorn salt. You can have your Sichuan peppercorn in oil form. The Sichuan peppercorn oil is best used when preparing stir-fry dishes that aren’t already very spicy. 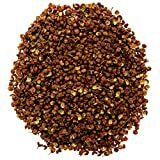 If you use the Sichuan peppercorn frequently you will reduce the tendency to get anemia which results from the high-level iron that’s found in Sichuan peppercorn. This iron ensures there is an increase in the hemoglobin production which helps in the oxygenation of blood and consequently, proper circulation of blood. The chemicals found in Sichuan peppercorn helps to reduce the pain in your body. While it is not a medically proven painkiller, it is an amazing form of pain treatment. The peppercorn also has zinc properties which help to boost your immunity system. The Sichuan peppercorn oil is also packed with antioxidants, antifungal and antiviral qualities. Like multivitamin, the Sichuan peppercorn helps to reduce your appetite loss. It will come in handy when you handling injuries or illnesses and your appetite is thrown off the window. It further increases your body metabolism. Strengthens your bones and prevents age-related conditions. The phosphorus, manganese, copper and iron are the attributes in Sichuan peppercorn that will make your bones strong. The antioxidants in the peppercorn help to reduce the attack by chronic diseases. You will reduce the tendency to develop stomach problem since the Sichuan peppercorn speeds up the digestion and metabolism. I would be the least worried if I was sourcing my Sichuan peppercorn from Sichuan. But, the fact that we are not all from this amazing province makes me say, you need to be cautious when buying it. We all want the best quality yet the market is also flooded with low-quality peppercorns. You see unless you have tried the fresh ones, you may not know what to look for. Below are the tips to check out for. 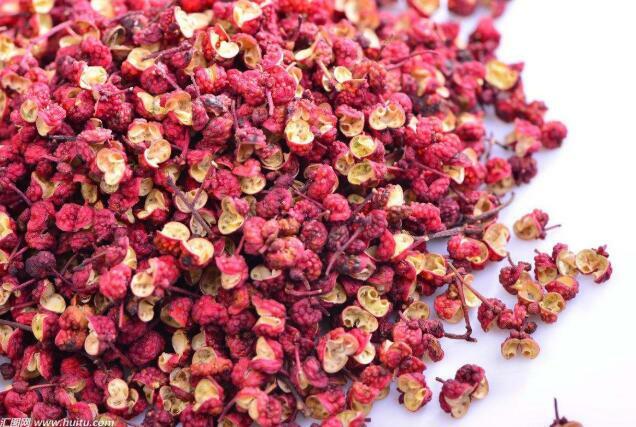 If you are buying the whole Sichuan peppercorn, the freshly harvested ones are usually bright brownish red in color. If the Sichuan was dried while not yet fully ripe, you should be able to spot some green color but never lifeless dark color. How strong is the smell? The fresh peppercorn is strong in smell and you will most definitely smell it even when tied in an airtight bag. However, be sure to only accept vacuum packaging. The taste should be nothing short of strong. You should taste the numbing sensation when buying it. The peppercorns hide its flavor, aroma and strength between its walls. You should therefore, buy the whole peppercorn and grind them yourself. Ensure they still have their outer coat. You see unlike the ground pepper which loses its flavor with each passing day, the whole peppercorn retains its flavor. This aromatic, pungent and lemony in tasting peppercorns give your Chinese meal a tingling, numbing and buzzing sensation. When you are ready to use it, you only need to light toast the tiny seeds then crush them and then add to your desired meal. It is best used alongside chili pepper to make it hot and spicy. This kind of peppercorn is best used when making baked chicken, steak, soups, risotto or potato dishes. Your dish will have an earthy aromatic attribute, lemony and spicy flavor. The Sichuan peppercorn is from Hanyuan county, Sichuan province. It is a necessary ingredient in the Chinese 5 spice as well as most Sichuan dishes. The product that is made from the husks is quite addictive especially if used alongside chilis. If you love authenticity this will be your best product because it’s untreated yet fresh. It retains its tingly numbing sensation with the strong aroma. With this one, it doesn’t matter whether it’s your first time using it because you will love it. This is a certified organic spice/herbs/seasoning that is processed in a nut free and soy free place. It is also a non-GMO product that has over the years passed the FDA test. You can be sure that this product is made using pure ingredients without additives like sugar and other preservation methods. Spicely peppercorn is meant to serve even the vegetarians. It has a strong flavor and tingly-numbing sensation. 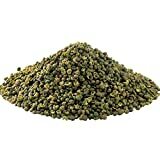 This is the green kind of peppercorns which is from Szechuan China and has a shelf life of up to 15 months. The characteristics include the fact that the moment you open it, a strong and sweet aroma is the first to hit your nose. If you want to create the ‘mala’ taste, go ahead and mix it with hot chilis or any other kind of hot spices. The hot, numbing and tingly taste will awaken your taste buds. Once you open the package, ensure you store in a cool dry place or even refrigerate to maintain its flavor. Note that the green Szechuan doesn’t have a strong aroma like the red peppercorn although you will still enjoy its freshness and purity. 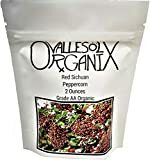 The organic whole Szechuan peppercorn will add its unique flavor to any dish. It is a kind of spice that has a good efficacy to your meal. It’s best used when preparing the fish, poultry and meat dishes. The spice is well known for its ability to remove the bad odor from the fish dishes. It has the very strong aroma, flavor and the tingly numbing sensation. It is made from the originally imported peppercorns from Sichuan. The peppercorns have bright red skin and a dense husk. The processors usually open the grain widely thus releasing the rich and long-lasting aroma. You may use the whole husks or grind them for your soups and sauces. You can rest assured that the three-squirrel peppercorns are vacuum sealed by foodsavers. You know what that means right? The quality of the product is guaranteed to be good. If you want to take your kung pao/ Mapo tofu to the next level, use this product. It isn’t as pungent as black pepper but it has this peculiar tingly sensation. You see the powdered form of the peppercorn may not be as aromatic as most would want. This might be a result of having been opened and ground many days before. This product is best for your sauces and soups although some people use it even for chicken, fish and meat dishes. It still has its tingly numbing sensation and is way affordable for all. It is made using red Chinese Sichuan peppercorn. The product is familiar for its big fruits with delicious flavor and fewer seeds. If you are looking for a kind of spice that will be your other must have, this is it. It’s very strong and aromatic with the usual tongue-numbing sensation which will change the complexity of any of your meals. The packaging further ensures that the nutrients are retained. Unlike other product where they say this product is authentic and yet it doesn’t give value for money, this one will make you addicted. They are imported directly from Sichuan Province China. These red-brown peppercorns are well known for their flavor and unique aroma. They are greatly used in Chinese cooking and many other Asian meals. Another unique spice from Szechuan province. You can have it in red or green options. It contains a sweet aroma and unique flavor that matches the braised dishes, pickled veggies and meat dishes. It is best when you want to make the peppercorn condiments. Note that, while the red one taste fragrantly strong and spicy the green one has an even stronger taste. Go try it out yourself.